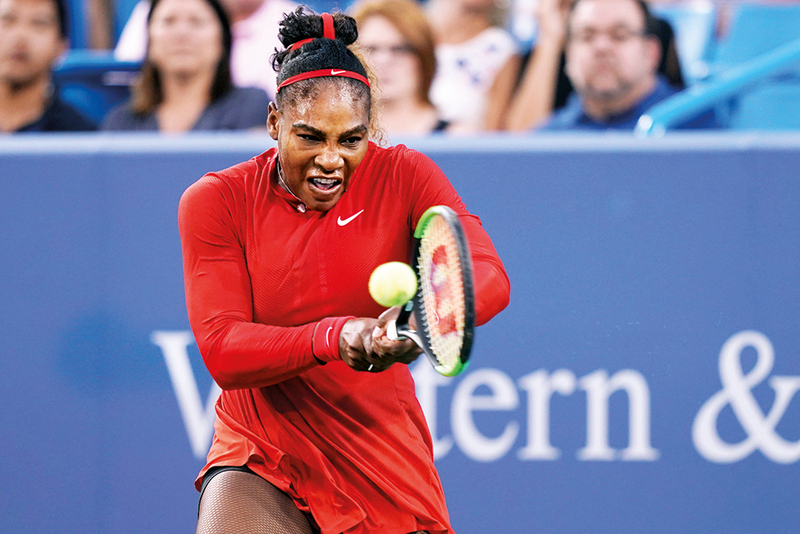 Mason, Ohio: Serena Williams bounced back from the most lopsided loss of her career, cruising past Daria Gavrilova 6-1, 6-2 at the Western & Southern Open on Monday. Williams, a 23-time Grand Slam winner who returned to the tour this year after the birth of her first child, needed just 65 minutes to dispatch Gavrilova. She’ll face eighth-seeded Petra Kvitova in Tuesday’s second round. Williams lost to Johanna Konta 6-1, 6-0 in San Jose, California, before withdrawing from last week’s Rogers Cup in Montreal. Tenth-seeded Novak Djokovic regrouped after blowing a 3-0 second-set lead to get past Steve Johnson, 6-4, 7-6. The reigning Wimbledon champion failed to convert eight match points before he finally put Johnson away. Wild card Stan Wawrinka, working his way back from two left knee surgeries, advanced with a 6-2, 4-6, 6-3 win over 12th-seeded Diego Schwartzman. In the day’s final match, unseeded Alize Cornet stunned 11th-seeded Jelena Ostapenko 1-6, 7-5, 6-0. Earlier, Andy Murray lost to Lucas Pouille 6-1, 1-6, 6-4, clearing another obstacle for Roger Federer in this US Open tune-up. Top-seeded Rafael Nadal dropped out of the event to prepare for the US Open after winning his fifth title of the year in Toronto. Murray had his best result since missing 11 months following hip surgery when he reached the quarter-finals in Washington two weeks ago. But he had a hard time adjusting to the Cincinnati courts. Federer, seeded second, has won in Cincinnati a record seven times but hasn’t played here since winning in 2015. In 2016, he had a knee injury, and in 2017 he had back problems. Even with the top-ranked Nadal missing, Federer liked the strength of this field, especially with Murray and Wimbledon champion Novak Djokovic having recovered from injuries. Grigor Dmitrov, the defending champion who is seeded fifth, was not entirely upset about Nadal’s absence.